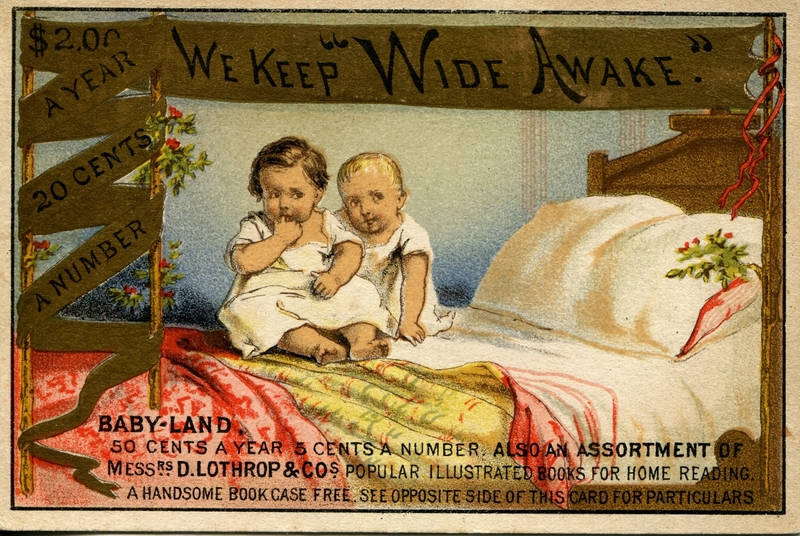 Wide Awake with D. Lothrop & Co. Here is a Victorian trade card that promotes both the offerings of a publisher and bookseller that stocks those products for his customers. The colorful lithograph that graces the front of the card promotes D. Lothrop & Co.'s Wide Awake series with a subscription rate discount, as well as the single issue price. Similar information is offered at the bottom of the card for another children's periodical, Baby-Land. The publisher's popular illustrated books and a free bookcase also get a mention squeezed in at the bottom of the card, with details on the reverse side. 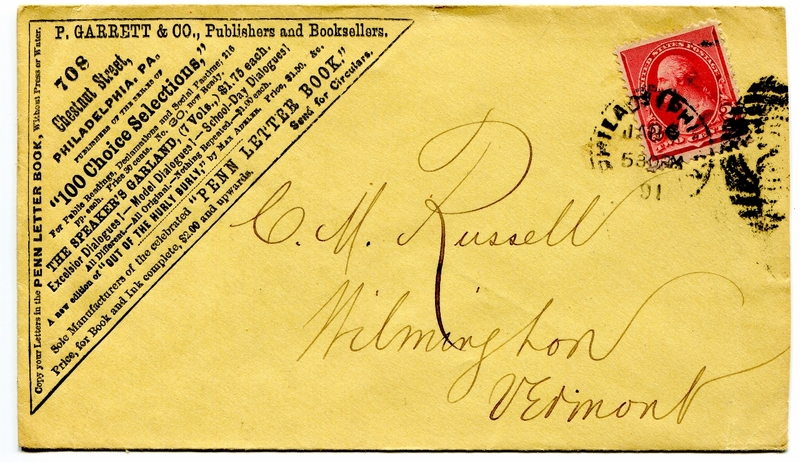 Those details on the reverse side follow the stamp of a local bookseller who has those items in stock or can get them for you from the publisher. The bookseller who issued this card to store patrons was D.F. Wallace of Cortland, New York, about 30 miles south of Syracuse. More on him and Cortland history in the 1870s to 1880s here. 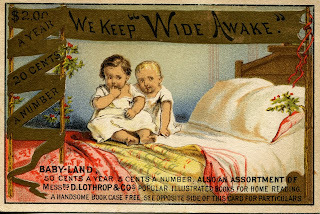 On Christmas Eve, 2011, I blogged about another D. Lothrop piece--a postal ad cover for their Wide Awake Pleasure Book and a child's scrawl addressed to St. Nicholas on the reverse side, perhaps in an attempt to get the book advertised for Christmas. 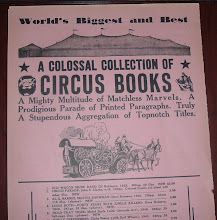 The Thoughts of Bibliomaven blog has much more on Daniel Lothrop, his company's books, and associated ephemera, including a near-identical trade card like the one I've posted here. 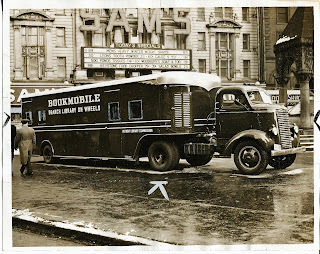 This press photo from 1940 shows a cab-over tractor trailer truck serving as a bookmobile, or Branch Library on Wheels, from the Detroit Library Commission, which governed the Detroit Public Library. This rig full of books is parked and posing at Cadillac Square. 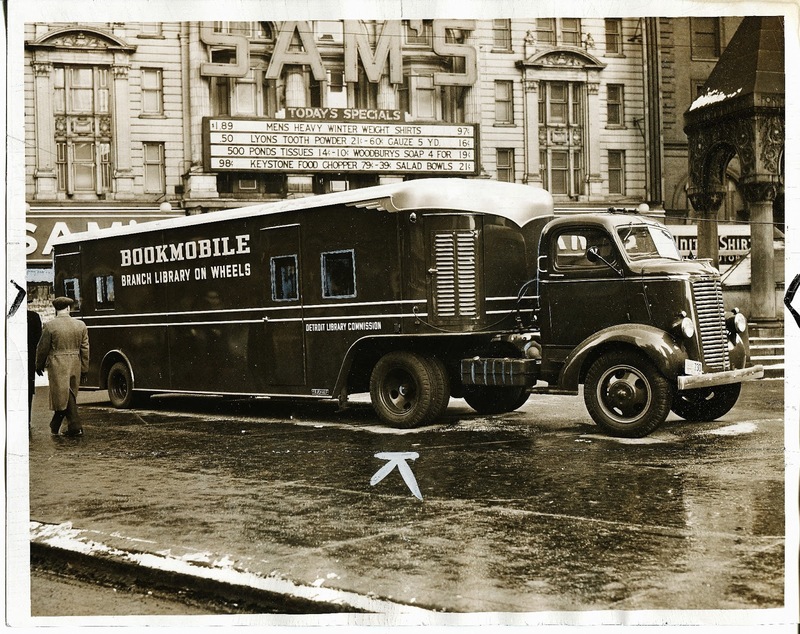 Most photos I've seen, or have in my collection, depict bookmobiles as more of the van or motorhome-looking variety, so it's nice to have something different like this in my collection. An editor's crop marks appear in the margins and just under the rear wheels of the truck. In the background is a building with the name Sam's and ads for discount merchandise. 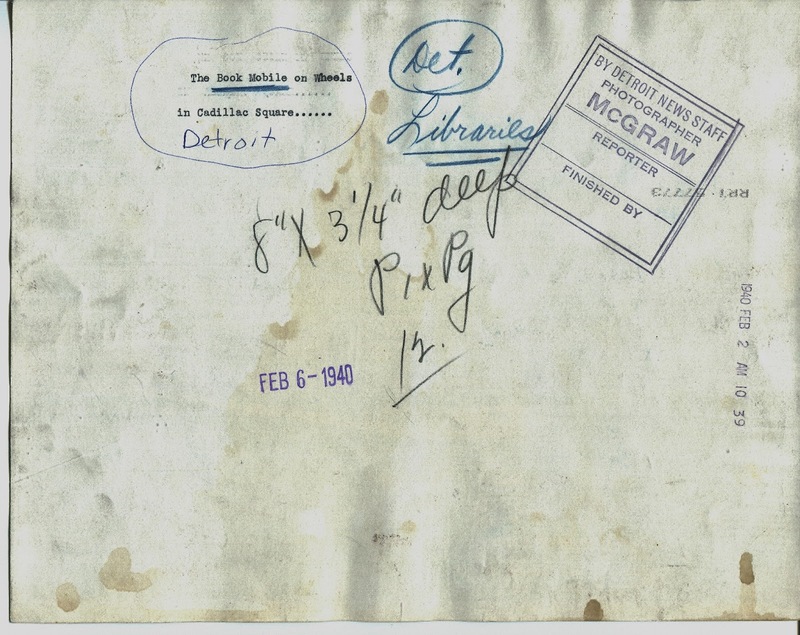 The reverse side of the photo identifies the location and date, as well as editor's notes, and the photographer's name--McGraw, whom I've determined to be Howard McGraw. Curious about the location, I searched the Internet for images of Cadillac Square and found the one below from DetroitYes.com. It has a bird's eye view of the area with Sam's in the foreground with the triangular plaza in front where the bookmobile parked that February day in 1940. The site mentions, in regard to this photo, that the building then occupied by Sam's used to be the Opera House. And below is the same building when it was the Detroit Opera House. This photo was found at SeekingMichigan.org. 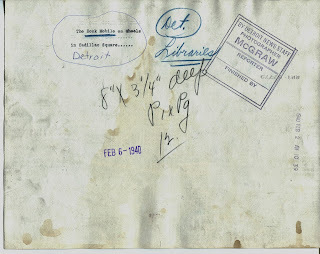 Click the link provided to read about the Detroit Opera House's brush with The Wizard of Oz. Think witch! Good witch, that is. The card below features a long-standing attraction at the Bookshop for Boys and Girls in Boston from the late 1920s and beyond. 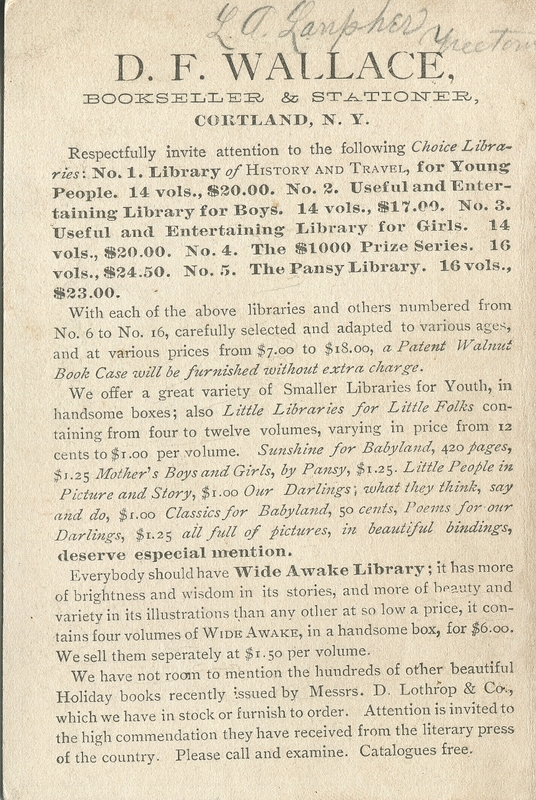 The reverse side is printed with information about the dolls and a rhyming announcement for The Spring Book Festival, May 2-7, 1938 at the bookshop. 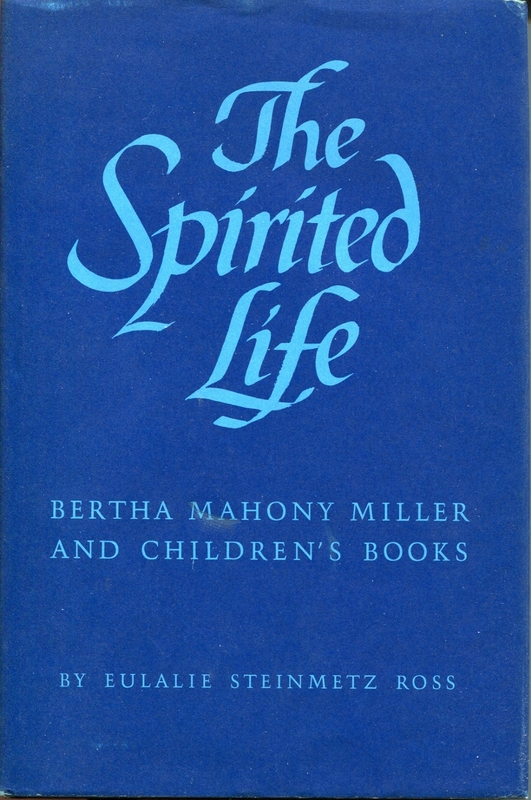 From the Bertha Mahony biography, The Spirited Life: Bertha Mahony Miller and Children's Books, by Eulalie Steinmetz Ross (The Horn Book, Inc., 1973), the origin of the doll known as Alice-Heidi was reported in the December 1916 issue of Little Folks Magazine. As the story goes, Alice-Heidi fell out of Santa Claus' toy sack one Christmas Eve as his sleigh flew over Boston. She had the good fortune to land in the Bookshop for Boys and Girls, which had just recently opened. Children who visited the shop for a story hour provided the doll with its name. When the book shop moved in 1921 to new and larger quarters at 270 Boylston Street, Alice-Heidi was given her own home to live in, as opposed to the fireplace mantel in the old shop. A Mr. Burleigh of the Toy Furniture Shop in Providence, Rhode Island made the doll house and its furnishings. It was christened Greenaway House after Kate Greenaway, the beloved English author and illustrator of children's books in the nineteenth century. The Alice-Heidi doll pictured in the card above is not the same doll that landed in the bookshop in 1916. Mahony was not satisfied with the look of the doll and changed it every year until she met a woman named Laura Mackay in 1928, who made scale models of people for museum exhibits. She was able to craft a doll for the bookshop that looked like a small person, which was exactly what Mahony had sought for years. Mackay also made a sister for Heidi-Alice, named Wendy, as well as a companion, Brownie, for the sisters. The card above mentions that Alice-Heidi and Wendy were happy to live in Greenaway House, where they had a doorman named Brownie. 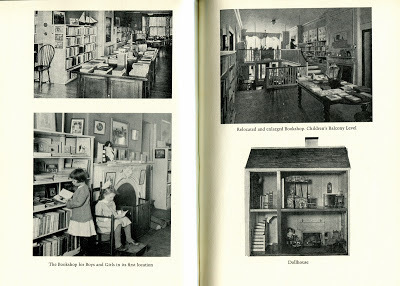 Below are photos from Ross' The Spirited Life that show the Bookshop for Boys and Girls at its first and later locations. In each, only Alice-Heidi is pictured--on the mantel at the first location and in the dollhouse (Greenaway House) at the later location (270 Boylston Street). Wendy and Brownie were not yet a part of the family. You may need to click on the picture to enlarge it for a more detailed view. 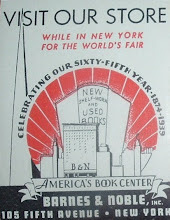 Here's a nice corner ad cover for a Philadelphia publisher and bookseller, P. Garrett & Co. This is reminiscent of another corner ad cover featured here previously--S.H. Zahm & Co., also of Pennsylvania, in Lancaster. 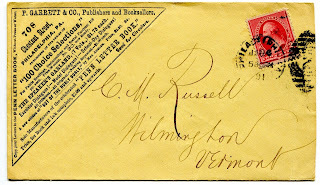 The postmarks are only a year apart and I wonder if perhaps the same designer created both for those and other merchants throughout the region. Of Garrett, I can find little information, but his ad cover tells you a bit about his business at the time, which was 1891. He published and sold a series you can still find a good number of today: 100 Choice Selections. 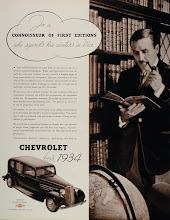 Those choice selections of poetry and prose, as the ad states, could be used for public readings, declamations, and social pastime. At 30 cents, the 216-page books sound like a bargain even in those times. Below is a Google Books image showing the title page of one of these publications several years prior. This piece provides Garrett's first name--the P stood for Phineas. Back to business in 1891... Phineas Garrett also published The Speaker's Garland, a 7-volume set priced at $1.75 each. There were also Excelsior Dialogues, Model Dialogues, and School-Day Dialogues, each for a dollar, all original and nothing repeated. One final plug crammed into this triangular ad is for Max Adeler's Out of the Hurly Burly, which was the most popular work of this forgotten humorist. Max Adeler was the pseudonym for Charles Heber Clark. Clark had a long-running feud with Mark Twain, in which each accused the other of plagiarism. 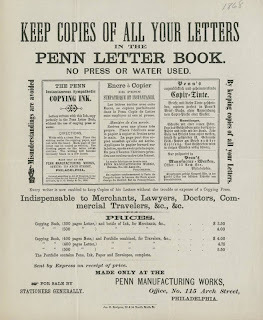 One last item, which gets a bit more ink in this piece's ad space is the Penn Letter Book, for which P. Garrett & Co. are the sole manufacturers. 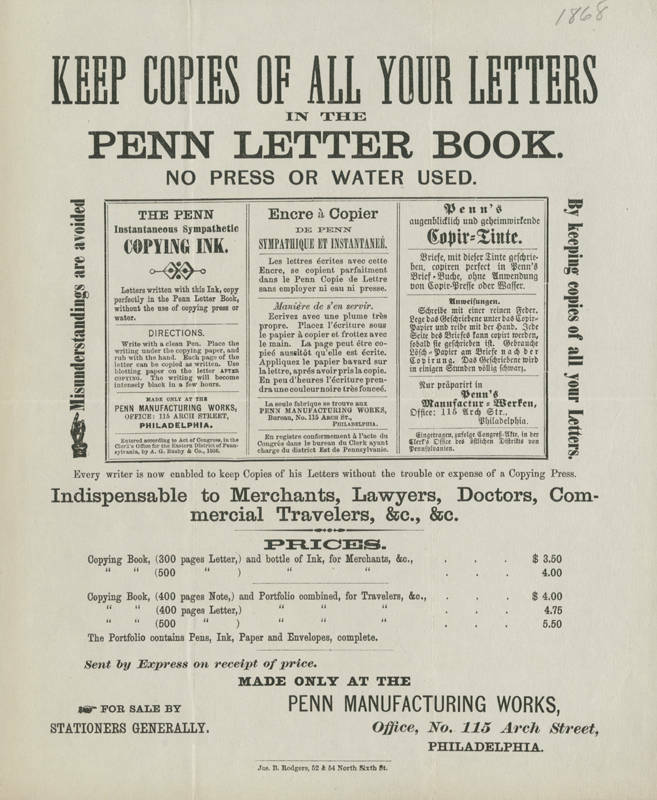 The Penn Letter Book, well in advance of photocopy technology, offered a means for creating copies of written letters "without press or water." 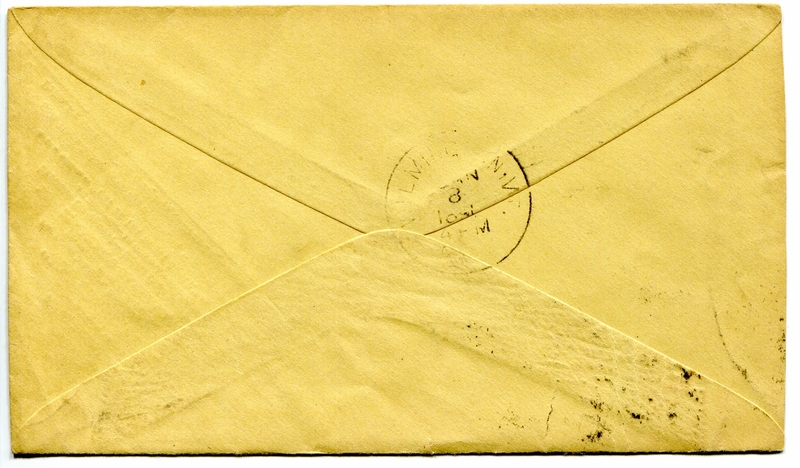 This product, somewhat of a precursor to carbon paper copying, was marketed to companies that needed copies of important business correspondence for their records. All one needed to do was to place the written correspondence under the Penn Letter Book paper and hand rub it to create a copy. To ensure a clean, clear copy, P. Garrett & Co. also manufactured a special ink for the job--Penn Instantaneous Sympathetic Copying Ink. 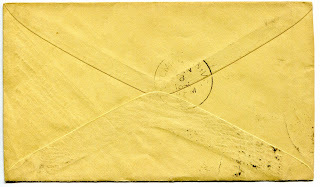 Using this ink for the correspondence would supposedly help produce the best copy. 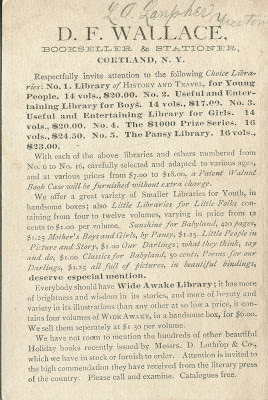 The Library Company of Philadelphia, Digital Collections, has a copy of an 1868 circular for this product (shown below), which the ad on the cover states were available to customers for more information. Below is an ad from the Publishers' Uniform Trade List Directory, an 1869 publication, split into two images for better resolution (click on the image for an enlarged view). Today, Independence Day in America, I'm remembering the patriot printer, Isaiah Thomas. What follows is from a previous post about Thomas on this blog a few years ago. This portrait, by Ethan Allen Greenwood, was found at the Web site for The American Antiquarian Society along with the biography (copied at the end of this post) of the man who has been referred to as the "Father of Ephemera." He was a patriot in the American Revolution, a publisher, a printer, and a bookseller. We cannot obtain a knowledge of those who are to come after us, nor are we certain what will be the events of future times; as it is in our power, so it should be our duty, to bestow on posterity that which they cannot give to us, but which they may enlarge and improve and transmit to those who shall succeed them. Thus, the preservation of ephemera. To that end, or some tiny branch of it, I am preserving a couple of items that relate to Thomas, or at least to the bookselling business he started. 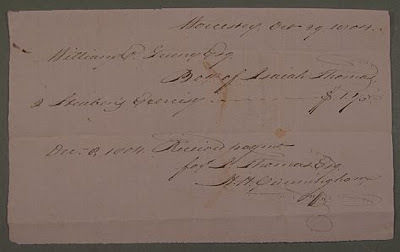 First up is a handwritten receipt from Worcester (Massachusetts), dated Nov. 14, 1803. The receipt acknowledges that William C. Greene, Esq. purchased from Isaiah Thomas two copies of Steuben's Exercises for 75 cents. Payment was received on behalf of Thomas by a Mr. H.H. Cunningham. The backside has the following notation: Isaiah Thomas, Bill & Rect. and a date that looks like Dec. 7th, 1803. The handwriting is different from that of the front side of the receipt. H.H. Cunningham is referenced twice in Isaiah Thomas' diary as having visited him from Montreal in May of 1811. Thomas was retired by this time, so the visit may have been social rather than business. Adding to that clue, the Canadian Encyclopedia refers to H.H. Cunningham of Montreal as a bookseller and the only colonialist bookseller who aspired to be a publisher also. The sale of books by Cunningham for Thomas in 1803 indicates what? 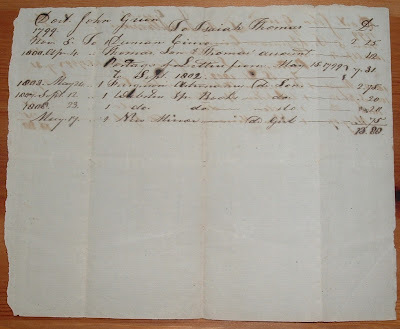 Perhaps he worked for Thomas, briefly, on one of his earlier visits and took the order for Thomas's book shop and prepared the receipt for Mr. Greene. I have learned, though, that Isaiah Thomas retired from his business in either 1802 or 1803. Regardless, the business continued under the guidance of Thomas' son, also named Isaiah. Whether or not the junior Isaiah was in charge at the time of this transaction, the connection to the elder Isaiah is still there and still a strong one. About those two books Green bought, the following title seems to fit: Baron Steuben's Exercises, by H.C. Cushing, with the subtitle,Containing Militia Laws of the United States (1792), and of the State of New York (1801), with Instructions and Regulations for the American Army in the Revolution. The second paper I have regards the account of one Doctor John Green with Isaiah Thomas. His account starts in 1799, when Thomas would have still been active in his business, and runs through what looks like 1808. There are a total of seven transactions during that time. Below is the whole document, followed by a close-up on the transactions. Click anywhere on the images for a larger picture. The handwriting appears to be the same over the span of time, so it's doubtful there is any chance of it belonging to Isaiah Thomas himself. Actually, it's doubtful he would have recorded these transactions at all, regardless of the date. His business interests were diverse and employed more than 150 people. I'm sure he had some one keeping the accounts for him. He wasn't just sitting around in the book shop waiting to record sales. If you wish to read more about Isaiah Thomas, the following is copied from the American Antiquarian Society's Web site. Ten years after his retirement, in 1812, Thomas founded the American Antiquarian Society, incorporating it that same year with a group of like-minded Massachusetts residents. (5) Explaining the need for such an institution, Thomas wrote: "We cannot obtain a knowledge of those who are to come after us, nor are we certain what will be the events of future times; as it is in our power, so it should be our duty, to bestow on posterity that which they cannot give to us, but which they may enlarge and improve and transmit to those who shall succeed them. "(6) Thomas was the Society's leader, serving as the first librarian, director and president. As a private collector, he purchased a large cache of Mather Family material, including portions of the famous Mather library and donated the material to the Society. 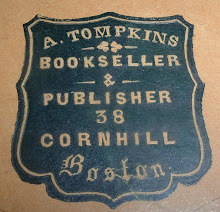 Thomas eventually gave his entire private library of books, manuscripts, and newspapers to the American Antiquarian Society, along with a cash bequest and the Society's first building. He also established the custom of electing collectors of books and materials to membership in the Society, with the expectation that they would consider willing their collections to the Society. (7) His foresight set the stage for the formation of an unparalleled resource for historical research at the American Antiquarian Society's collection to become. Read more about Isaiah Thomas at Mass Moments, a daily almanac of Massachusetts history created by the Massachusetts Foundation for the Humanities. 1) Nichols's annotated offprint version of this publication is housed at the American Antiquarian Society. In it, he records changes of ownership and provenance of various Thomas portraits that updates the Proceedings article. 2) For more on early printing presses including the Thomas press at AAS, see Lawrence C. Wroth, The Colonial Printer (Charlottesville: University Press of Virginia, 1964), 64-66, 77. 3) For more on Thomas, see Charles L. Nichols, Isaiah Thomas Printer, Writer, & Collector (Boston: Club of Odd Volumes, 1912). 4) Isaiah Thomas Papers, 1748-1874, American Antiquarian Society Manuscripts Collection. 5) There are portraits of four of the twenty-seven incorporators in the collection: Isaiah Thomas, Sr., Isaiah Thomas, Jr., Aaron Bancroft D.D. , and William Paine, D.D.The other founders were: Levi Lincoln, Sr., Levi Lincoln, Jr., Harrison Gray Otis, Timothy Bigelow, Nathaniel Paine, Edward Bangs, J.T. Kirkland, Jonathan H. Lyman, M.D., Elijah H. Mills, Elisha Hammond, Timothy Williams, William D. Peck, John Lowell (requested his name be removed), Edmund Dwight, Eleazar James, William S. Shaw, Francis Blake, Samuel Burnside Benjamin Russell, Redford Webster, Ebenezer T. Andrews, and William Wells. There is an image of Sophia Burnside, but none of her spouse. 6) Isaiah Thomas, Sr., Account of the American Antiquarian Society (Boston: Isaiah Thomas, Jr., 1813): 4. 7) For more on the early history of the American Antiquarian Society, see Nancy Burkett and John B. Hench, eds., Under its Generous Dome, The Collections and Programs of the American Antiquarian Society (Worcester: American Antiquarian Society, 1992). 8) Georgia Brady Barnhill, 'Extracts from the Journals of Ethan Allen Greenwood: Portrait Painter and Museum Proprietor,' Proceedings of the American Antiquarian Society 103 (April 1993): 91-178. 9) Isaiah Thomas Diary, May 20, 1818, Isaiah Thomas Papers 1748-1874. 10) Isaiah Thomas Diary, May 21-23 and 25, 1818. 12) During his lifetime, Thomas had two copies of Greenwood's portrait made and three more copies were taken after his death. See Frederick Weis, 'Portraits in the American Antiquarian Society,' Proceedings of the American Antiquarian Society 56 (April 1946): 107-8; and Charles L. Nichols, The Portraits of Isaiah Thomas (Worcester: American Antiquarian Society, 1921), 4-7.